Such a cutie! We love this little rock-dwelling harbinger of spring. 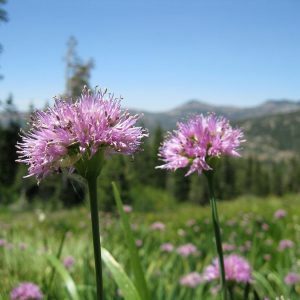 Douglas’ grass widow blooms February-April along rocky bluffs, rock outcrops, in ponderosa pine woodlands and chaparral, and on sunny, open slopes where it is moist in spring but dries out in the summer when the plant goes dormant. 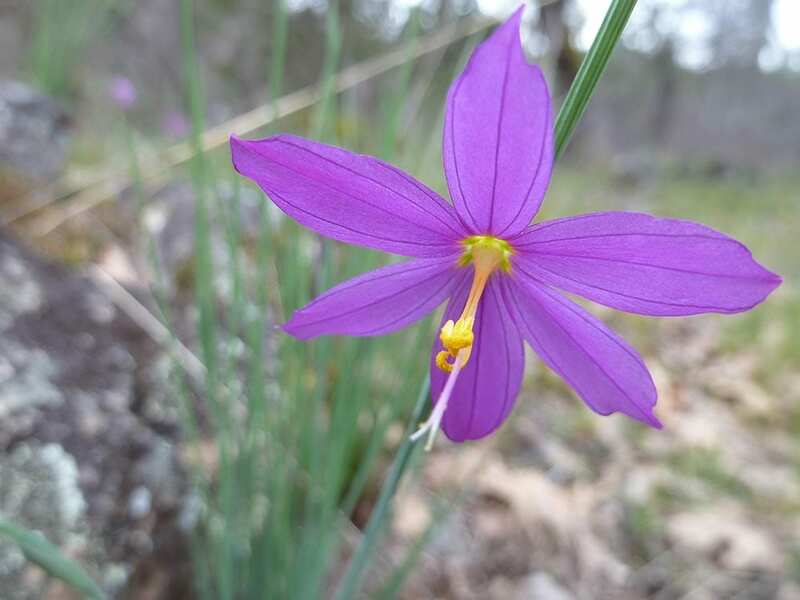 Douglas’ grasswidow is the only species in the genus Olsynium in North America. The other 11 species in the genus grow in South America. 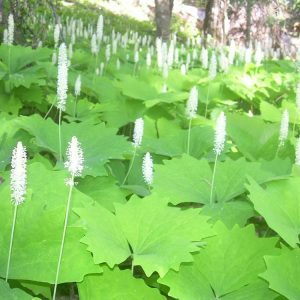 It is a perennial wildflower with clumping, grass-like leaves and stems that grow 5″-12″ tall from a bulb. Douglas’ grass widow has lovely, six-petaled, purple, bell-shaped flowers that are showy and much-welcomed after a long winter, and sure to catch the eye. Tolerates spring moisture but needs a dry period in summer during bulb dormancy. Prefers full sun to part shade and sharp drainage. 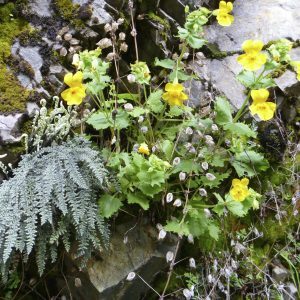 A great rock garden plant. 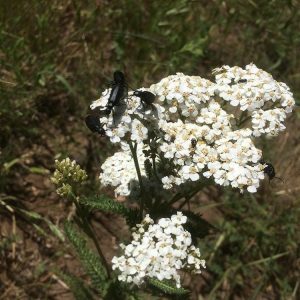 Native bees are happy to forage on grasswidow flowers in early spring when floral resources are limited.